When plant residues are returned to the soil, various organic compounds undergo decomposition. Decomposition is a biological process that includes the physical breakdown and biochemical transformation of complex organic molecules of dead material into simpler organic and inorganic molecules (Juma, 1998). Decomposition of organic matter is largely a biological process that occurs naturally. Its speed is determined by three major factors: soil organisms, the physical environment and the quality of the organic matter (Brussaard, 1994). In the decomposition process, different products are released: carbon dioxide (CO2), energy, water, plant nutrients and resynthesized organic carbon compounds. Successive decomposition of dead material and modified organic matter results in the formation of a more complex organic matter called humus (Juma, 1998). This process is called humification. Humus affects soil properties. As it slowly decomposes, it colours the soil darker; increases soil aggregation and aggregate stability; increases the CEC (the ability to attract and retain nutrients); and contributes N, P and other nutrients. Soil organisms, including micro-organisms, use soil organic matter as food. As they break down the organic matter, any excess nutrients (N, P and S) are released into the soil in forms that plants can use. This release process is called mineralization. The waste products produced by micro-organisms are also soil organic matter. This waste material is less decomposable than the original plant and animal material, but it can be used by a large number of organisms. By breaking down carbon structures and rebuilding new ones or storing the C into their own biomass, soil biota plays the most important role in nutrient cycling processes and, thus, in the ability of a soil to provide the crop with sufficient nutrients to harvest a healthy product. The organic matter content, especially the more stable humus, increases the capacity to store water and store (sequester) C from the atmosphere. The soil ecosystem (Box 1) can be defined as an interdependent life-support system composed of air, water, minerals, organic matter, and macro- and micro-organisms, all of which function together and interact closely. The organisms and their interactions enhance many soil ecosystem functions and make up the soil food web. The energy needed for all food webs is generated by primary producers: the plants, lichens, moss, photosynthetic bacteria and algae that use sunlight to transform CO2 from the atmosphere into carbohydrates. Most other organisms depend on the primary producers for their energy and nutrients; they are called consumers. Decompose organic matter towards humus. Retain N and other nutrients. Glue soil particles together for best structure. Protect roots from diseases and parasites. Make retained nutrients available to the plant. Produce hormones that help plants grow. Soil life plays a major role in many natural processes that determine nutrient and water availability for agricultural productivity. The primary activities of all living organisms are growing and reproducing. By-products from growing roots and plant residues feed soil organisms. In turn, soil organisms support plant health as they decompose organic matter, cycle nutrients, enhance soil structure and control the populations of soil organisms, both beneficial and harmful (pests and pathogens) in terms of crop productivity. The living part of soil organic matter includes a wide variety of micro-organisms such as bacteria, viruses, fungi, protozoa and algae. It also includes plant roots, insects, earthworms, and larger animals such as moles, mice and rabbits that spend part of their life in the soil. The living portion represents about 5 percent of the total soil organic matter. Micro-organisms, earthworms and insects help break down crop residues and manures by ingesting them and mixing them with the minerals in the soil, and in the process recycling energy and plant nutrients. Sticky substances on the skin of earthworms and those produced by fungi and bacteria help bind particles together. Earthworm casts are also more strongly aggregated (bound together) than the surrounding soil as a result of the mixing of organic matter and soil mineral material, as well as the intestinal mucus of the worm. Thus, the living part of the soil is responsible for keeping air and water available, providing plant nutrients, breaking down pollutants and maintaining the soil structure. The composition of soil organisms depends on the food source (which in turn is season dependent). Therefore, the organisms are neither uniformly distributed through the soil nor uniformly present all year. However, in some cases their biogenic structures remain. Each species and group exists where it can find appropriate food supply, space, nutrients and moisture (Plate 2). Organisms occur wherever organic matter occurs (Ingham, 2000). Therefore, soil organisms are concentrated: around roots, in litter, on humus, on the surface of soil aggregates and in spaces between aggregates. For this reason, they are most prevalent in forested areas and cropping systems that leave a lot of biomass on the surface. preferred food sources. Inside the colony life is highly organized. The activity of soil organisms follows seasonal as well as daily patterns. Not all organisms are active at the same time. Most are barely active or even dormant. 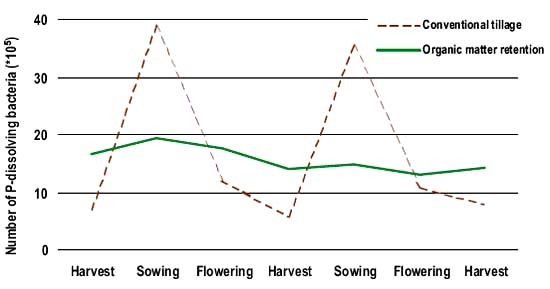 Availability of food is an important factor that influences the level of activity of soil organisms and thus is related to land use and management (Figure 3). Practices that increase numbers and activity of soil organisms include: no tillage or minimal tillage; and the maintenance of plant and annual residues that reduce disturbance of soil organisms and their habitat and provide a food supply. Different groups of organisms can be distinguished in the soil (Brussaard and Juma, 1995). Table 1 classifies them by size. Table 2 classifies them by function. Fresh residues consist of recently deceased micro-organisms, insects and earthworms, old plant roots, crop residues, and recently added manures. Crop residues contain mainly complex carbon compounds originating from cell walls (cellulose, hemicellulose, etc.). Chains of carbon, with each carbon atom linked to other carbons, form the backbone of organic molecules. These carbon chains, with varying amounts of attached oxygen, H, N, P and S, are the basis for both simple sugars and amino acids and more complicated molecules of long carbon chains or rings. Depending on their chemical structure, decomposition is rapid (sugars, starches and proteins), slow (cellulose, fats, waxes and resins) or very slow (lignin). Note: Clay particles are smaller than 2 µm. Source: adapted from Swift, Heal and Anderson, 1979. During the decomposition process, microorganisms convert the carbon structures of fresh residues into transformed carbon products in the soil. There are many different types of organic molecules in soil. Some are simple molecules that have been synthesized directly from plants or other living organisms. These relatively simple chemicals, such as sugars, amino acids, and cellulose are readily consumed by many organisms. For this reason, they do not remain in the soil for a long time. Other chemicals such as resins and waxes also come directly from plants, but are more difficult for soil organisms to break down. Humus is the result of successive steps in the decomposition of organic matter. Because of the complex structure of humic substances, humus cannot be used by many micro-organisms as an energy source and remains in the soil for a relatively long time. Non-humic organic molecules are released directly from cells of fresh residues, such as proteins, amino acids, sugars, and starches. This part of soil organic matter is the active, or easily decomposed, fraction. This active fraction is influenced strongly by weather conditions, moisture status of the soil, growth stage of the vegetation, addition of organic residues, and cultural practices, such as tillage. 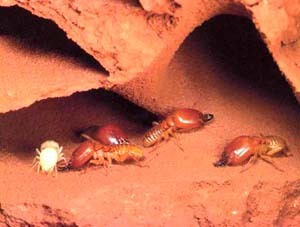 It is the main food supply for various organisms in the soil. Carbohydrates occur in the soil in three main forms: free sugars in the soil solution, cellulose and hemicellulose; complex polysaccharides; and polymeric molecules of various sizes and shapes that are attached strongly to clay colloids and humic substances (Stevenson, 1994). The simple sugars, cellulose and hemicellulose, may constitute 5-25 percent of the organic matter in most soils, but are easily broken down by micro-organisms. Polysaccharides (repeating units of sugar-type molecules connected in longer chains) promote better soil structure through their ability to bind inorganic soil particles into stable aggregates. Research indicates that the heavier polysaccharide molecules may be more important in promoting aggregate stability and water infiltration than the lighter molecules (Elliot and Lynch, 1984). Some sugars may stimulate seed germination and root elongation. Other soil properties affected by polysaccharides include CEC, anion retention and biological activity. The soil lipids form a very diverse group of materials, of which fats, waxes and resins make up 2-6 percent of soil organic matter. The significance of lipids arises from the ability of some compounds to act as growth hormones. Others may have a depressing effect on plant growth. Soil N occurs mainly (> 90 percent) in organic forms as amino acids, nucleic acids and amino sugars. Small amounts exist in the form of amines, vitamins, pesticides and their degradation products, etc. The rest is present as ammonium (NH4-) and is held by the clay minerals. Humus or humified organic matter is the remaining part of organic matter that has been used and transformed by many different soil organisms. It is a relatively stable component formed by humic substances, including humic acids, fulvic acids, hymatomelanic acids and humins (Tan, 1994). It is probably the most widely distributed organic carbon-containing material in terrestrial and aquatic environments. Humus cannot be decomposed readily because of its intimate interactions with soil mineral phases and is chemically too complex to be used by most organisms. It has many functions (Box 2). One of the most striking characteristics of humic substances is their ability to interact with metal ions, oxides, hydroxides, mineral and organic compounds, including toxic pollutants, to form water-soluble and water-insoluble complexes. Through the formation of these complexes, humic substances can dissolve, mobilize and transport metals and organics in soils and waters, or accumulate in certain soil horizons. This influences nutrient availability, especially those nutrients present at microconcentrations only (Schnitzer, 1986). Accumulation of such complexes can contribute to a reduction of toxicity, e.g. of aluminium (Al) in acid soils (Tan and Binger, 1986), or the capture of pollutants - herbicides such as Atrazine or pesticides such as Tefluthrin - in the cavities of the humic substances (Vermeer, 1996). Humic and fulvic substances enhance plant growth directly through physiological and nutritional effects. Some of these substances function as natural plant hormones (auxines and gibberillins) and are capable of improving seed germination, root initiation, uptake of plant nutrients and can serve as sources of N, P and S (Tan, 1994; Schnitzer, 1986). Indirectly, they may affect plant growth through modifications of physical, chemical and biological properties of the soil, for example, enhanced soil water holding capacity and CEC, and improved tilth and aeration through good soil structure (Stevenson, 1994). About 35-55 percent of the non-living part of organic matter is humus. It is an important buffer, reducing fluctuations in soil acidity and nutrient availability. Compared with simple organic molecules, humic substances are very complex and large, with high molecular weights. The characteristics of the well-decomposed part of the organic matter, the humus, are very different from those of simple organic molecules. While much is known about their general chemical composition, the relative significance of the various types of humic materials to plant growth is yet to be established. Fulvic acids: the fraction of humus that is soluble in water under all pH conditions. Their colour is commonly light yellow to yellow-brown. Humic acids: the fraction of humus that is soluble in water, except for conditions more acid than pH 2. Common colours are dark brown to black. Humin: the fraction of humus that is not soluble in water at any pH and that cannot be extracted with a strong base, such as sodium hydroxide (NaOH). Commonly black in colour. The term acid is used to describe humic materials because humus behaves like weak acids. Fulvic and humic acids are complex mixtures of large molecules. Humic acids are larger than fulvic acids. Research suggests that the different substances are differentiated from each other on the basis of their water solubility. Fulvic acids are produced in the earlier stages of humus formation. The relative amounts of humic and fulvic acids in soils vary with soil type and management practices. The humus of forest soils is characterized by a high content of fulvic acids, while the humus of agricultural and grassland areas contains more humic acids. organic humates are a catalyst for increasing soil C levels.